“Do you love to go on adventures? Are you looking for an affordable Compass for camping, hiking or outdoor activities? 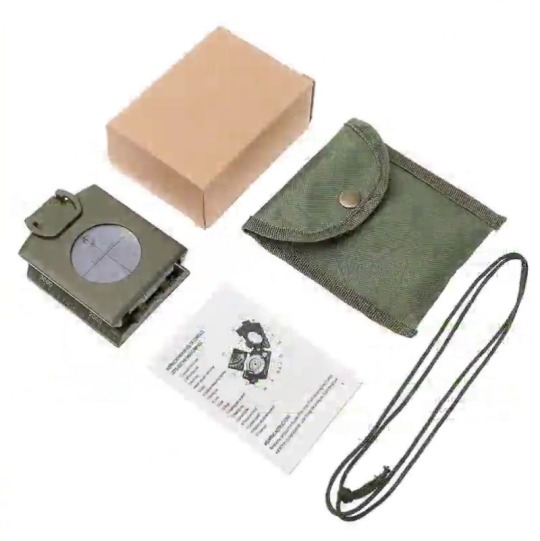 The MLC2 Professional Military Lensatic Sighting Metal Compass with Inclinometer and Carrying Pouch is compact and very lightweight. This is the last compass you’ll ever need! Updated to include Rugged metal case, Adjustable luminous marching line, Thumb hold and magnifying viewer, Sighting hairline, Floating luminous dial, and Liquid filled for fast readability! It is made of high strength engineering metal and covered by army green paint, which is capable of working under extreme weather condition.